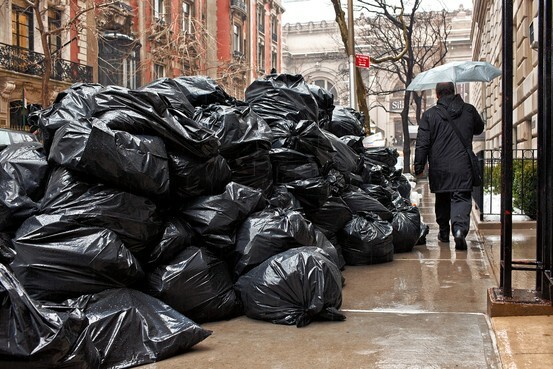 Pain point: So many trash bags laying on the street without recycling New York City trash bags often pile up on the sidewalk, their contents strewn out onto the streets. The sheer volume of trash is enormous. Of the residential waste, the city only recycles 15 percent, the New York Times reports. As for commercial waste, a recent report by Transform Don't Trash NYC says the city generates 5.5 million tons annually, out of which only about 25 percent is recycled. Send people and stores securely-tied, heavy-duty opaque (non-transparent) bags. Each kind of bag is a kind of animal that represents one trash category. This bronze trash bag-inspired teddy bear is part of NYC Parks’ Art in the Parks program and is by Korean artist Gimhonsok. 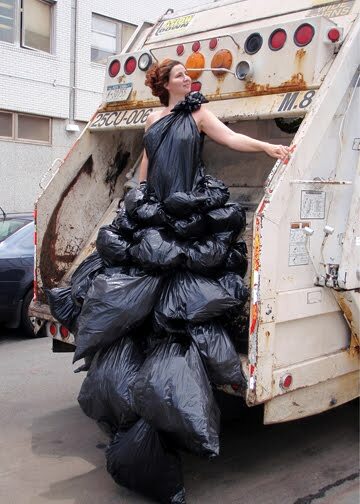 It aims to play on the ubiquitousness of garbage bags on the streets of New York City. 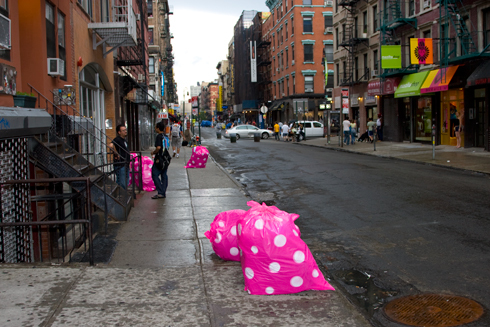 Artists in Manhattan are decorating the streets of NYC by gift wrapping garbage in polka dotted trash bags. The premise of the project is to beautify New York City and raise the public awareness of the arts and the environment.